For the past year, I have embarked on a growing and beautiful relationship with the Pioneer Woman. I love her with all of my heart, and I am slightly obsessed. She cooks amazing food for me, shares her ambitions, and occasionally gives me the chance to win amazing prizes. Like I said, it is a really wonderful partnership. The only down side to our love is that we have actually never met face to face. 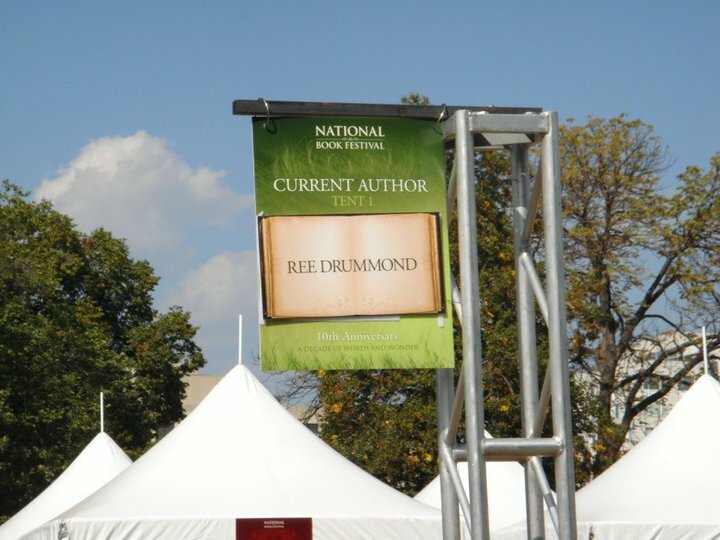 This blemish in the perfection of our relationship was finally fixed at the book festival this year. My handsome and wonderful boyfriend Josh received a phone call from his BFF that the PW was indeed going to be on the mall at 2:30 signing books. It was deathly hot, but being the amazing guy he is Josh drove me straight to the mall. He then gave me thirty dollars so I could buy her cookbook. (Thus far I had been printing recipes off her website.) He put up with my excited energy as we stood in a very long line and even let me eat almost all of his snowcone. Like I said, he is AWESOME! (All capps needed...bold letters too.) Finally after many sweaty minutes, the Author sign changed and our long line finally began to move!!!! It was almost time to finally meet my idol! As the line moved closer and closer, I got more and more nervous...EEK! "What do I say?" I asked Josh. "What should I tell her? Should I mention that I have a blog?" Finally, after about 45 minutes, I could finally see the table she was sitting at. I gave Josh my camera as well as a lecture about how I only had one chance to get the perfect picture. HE DID IT!!! Of course, I knew he would! After the picture, I had about 2 minutes to ask her my question. I had soooo many things I wanted to say, and here it is verbatim: "Hi! I love you! Are your kids here this weekend?" Hahaha I was SO nervous. 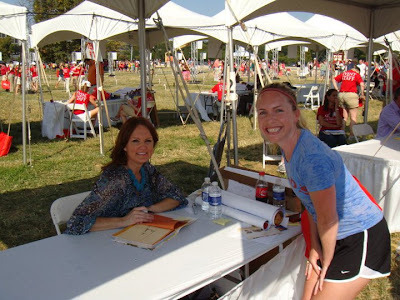 She smiled and said thank you and let me know that her kids were back in Oklahoma because they had soccer that weekend. 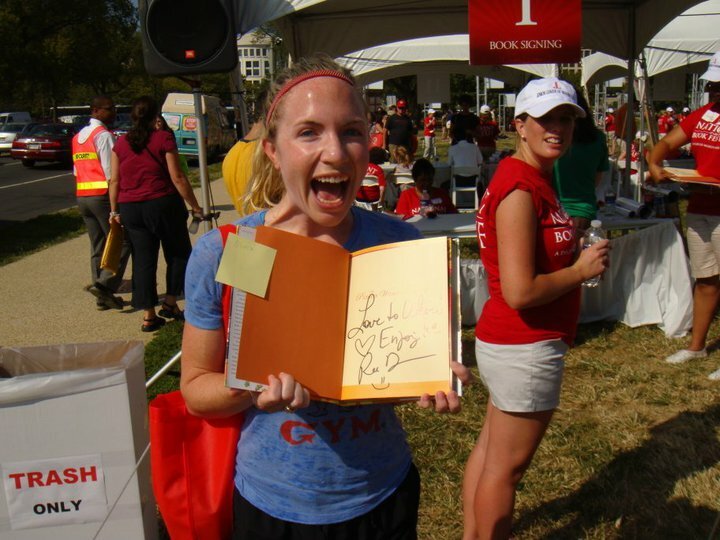 I said thank you for signing my book...and my turn was over. So fast but so rewarding!!! Moments later I still could not contain my excitement!!! I love Josh who stood in line with me even though we both became sweaty messes. 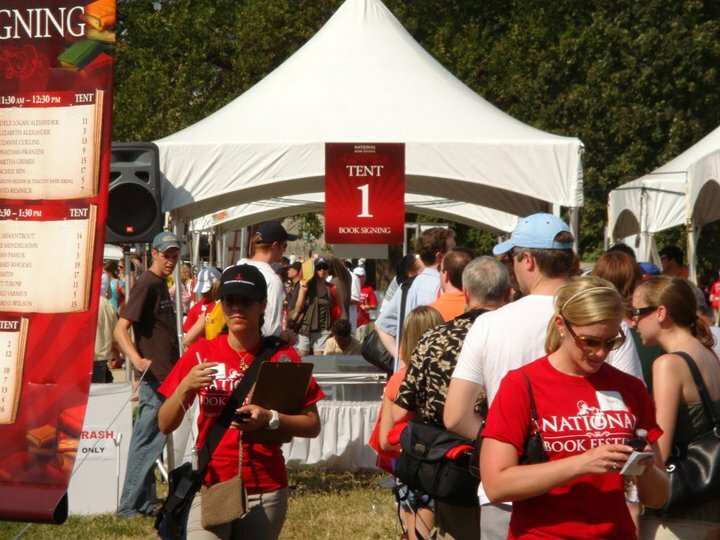 I love the book festival.